FAIL: Diabetes Medication Isn't Working. So What Does? An extract of grape seeds was recently compared to the best-selling diabetes drug Metformin and was found to be superior in correcting adverse physiological responses induced by a high-fat, high-fructose diet. A new study clearly documents that the standard treatment for type 2 diabetes is a killer, resulting in more than double the deaths. The treatment justification has always been based on irrelevant criteria - just as it is with most pharmaceutical treatments. In an American culture conducive to physical inactivity and nutritional-based disease, why aren't we moving more towards a nutrition, physical activity and stress reduction model? Cinnamon's medicinal potential is as rich and complex as its flavor and aroma, with blood sugar balancing and infection fighting top on the list. 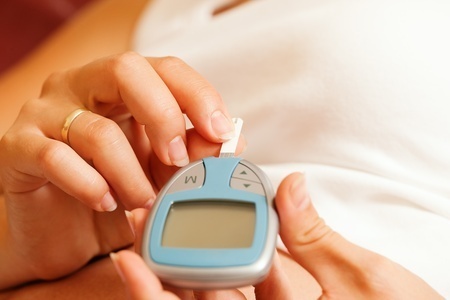 The treatment and in some cases complete reversal of diabetes can be accomplished entirely without drugs. Are you one of the 84.1 million people in the United States who has been “pre-diagnosed” with diabetes? If so, here are practical steps you can take today to turn this looming crisis into a lifetime of better health. Promoted for decades as a "safe" sugar alternative, presumably to prevent or reduce symptoms of diabetes, Splenda (sucralose) has been found to have diabetes-promoting effects in human subjects. Studies show that synthetic, genetically modified insulin could be to blame for a number of complications in diabetes patients. Pushed globally as a beneficial to dieters since its approval in 1981, accumulating research indicates that aspartame may actually damage the brain and cause cancer, to name but a few of a wide range of adverse health effects consumers risk by using this 'no-calorie' sugar alternative. New research finds that a change to a low-carb Mediterranean Diet can significantly reverse and reduce type 2 diabetes incidence, even more than a low-fat diet - which also reduces risk. Whether it's regular or decaf, drinking more coffee appears to lower a man's risk of developing a deadly form of prostate cancer according to Harvard researchers. Is The Cure for Diabetes A Humble Root? Billions are spent annually and still there is no conventional cure for diabetes. Or is there a cheap, safe and freely available solution already growing beneath our feet? This humble, but immensely powerful seed, kills MRSA, heals the chemical weapon poisoned body, stimulates regeneration of the dying beta cells within the diabetic's pancreas, and yet too few even know it exists.